Mayor Saleha Jaffer's Civic Service tool place at South London Islamic centre on 24th September 2016. Click on map for other venues and times. There was time, just, to eat packed lunches in Holmewood Gardens between the first and second venues. 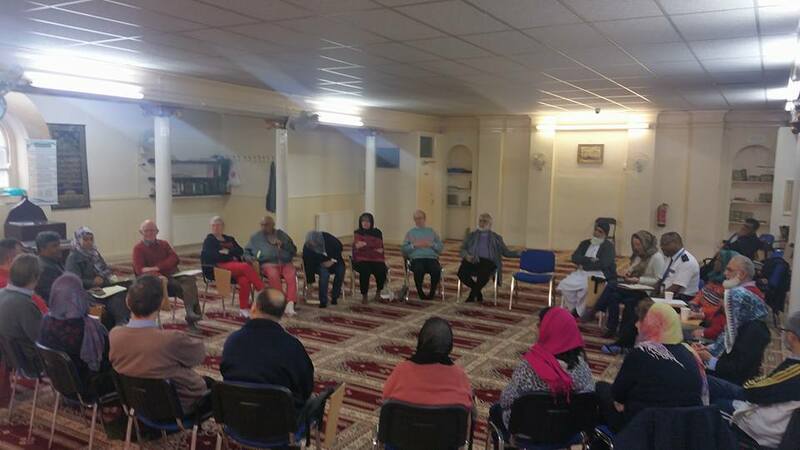 South London Islamic Centre hosted a tea party to express thanks to local residents for their patience during Ramadan when prayers very late at night inevitably brought road traffic to the area. Mr Mohammed Ijaz (Chair of Trustees) spoke of SLIC's gratitude. 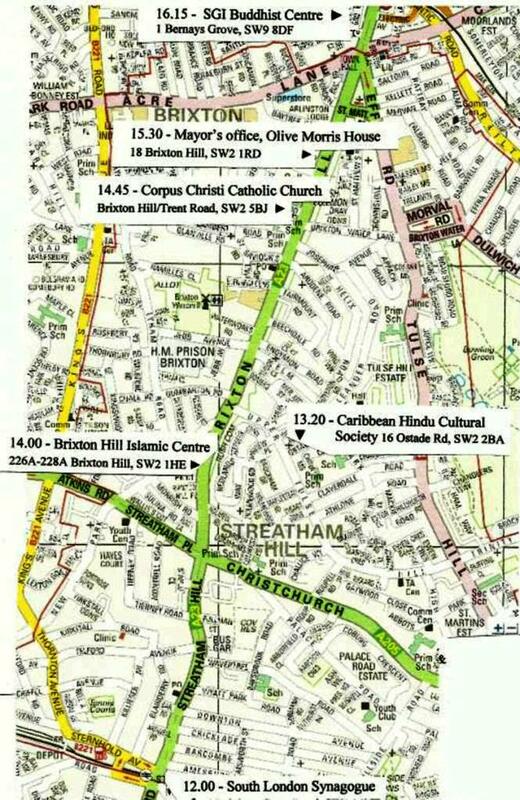 Other speakers were led by the Mayor of Lambeth (Cllr Saleha Jaffer) for whom SLIC is her own place of worship. 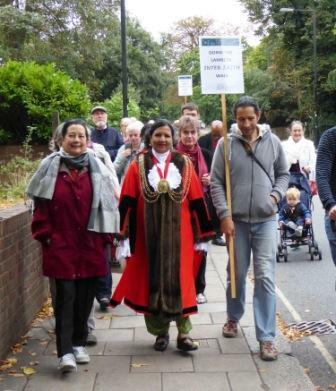 The Mayor expressed her great pride in Lambeth with all its diversities and mentioned that Faiths Together in Lambeth would be among the Mayor's charities during her year of office. 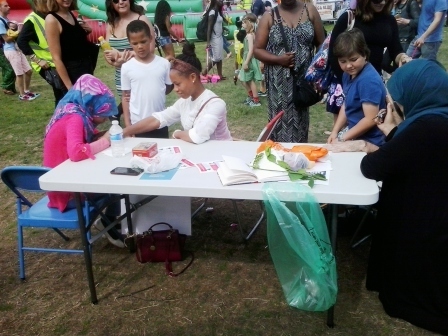 This year's Inter Faith Stall at Lambeth Country Show in Brockwell Park (16 and 17 July 2016) had three main parts. 1. Sale of donated artworks - see examples here. 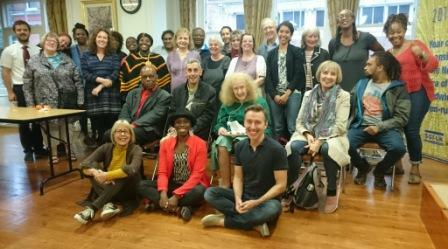 Faiths Together in Lambeth hosted open hustings with invited candidates for the Lambeth and Southwark Constituency. 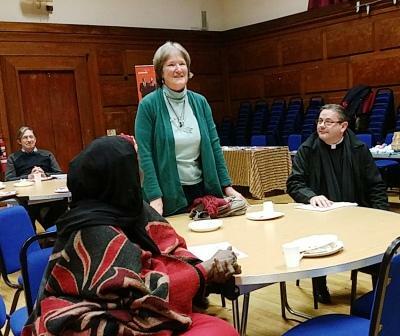 30 people came together to share breakfast with friends of all faiths and none. Attendees presented short updates on a number of local projects. Inter Faith Week ran nationally from 15 - 21 November this year. There were two events in Lambeth. Download the flyers to see the details. See the SLIFG website for pictures and reports. 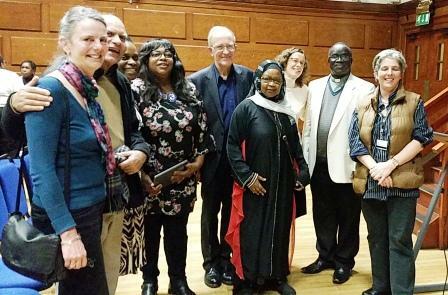 There are pictures from this event in the gallery and there is a report by Gargie Ahmad on page 7 of December's Brixton Bugle. This constituency is shared with the Borough of Southwark. The hustings were organised by St Stephen’s Church. In all three constituencies, five candidates were invited. These are parties that already have elected representation in or for London. 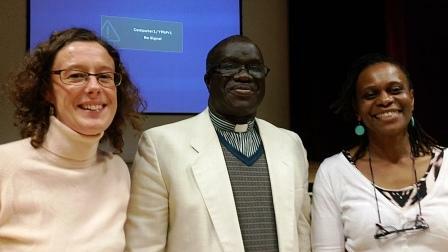 FTiL member organisation FAST (Families Against Stress and Trauma) launched, for faith communities, its film on DVD entitled 'Families Matter' that was produced in July this year. The film tells the story of three families whose lives were ripped apart when a relative travelled to a conflict zone. It is intended as a resource to encourage families to reach out for help if they suspect a family member might be planning to travel to a conflict zone. Free copies of the DVD are available from FTiL on request.